I am proud to share with you today's stop on the Wicked Saints Blog Tour, hosted by Raincoast Books. I read this one about a week ago, and it truly surprised me how much it drew me in. 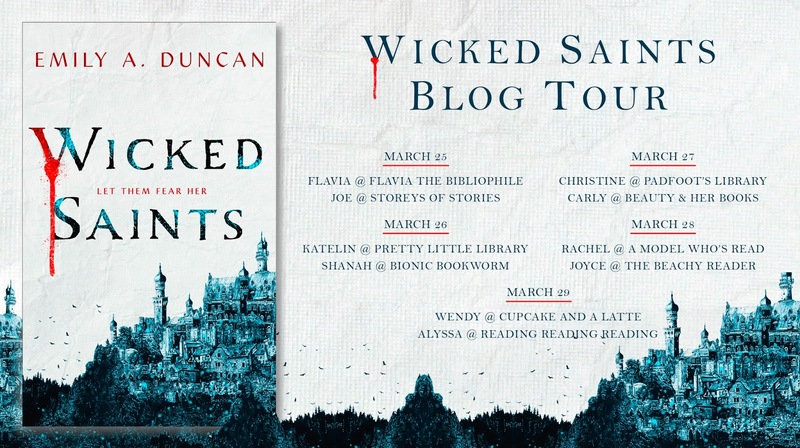 Wicked Saints is a dark and dangerous tale, following the adventures of three characters who hold great power, but each in grave danger. As blood sheds and secrets are revealed, trusting each other will be the deciding factor on the fate of these two conflicting countries. But beware, only the bold will survive. This was one of my most anticipated reads of 2019, and I can confirm it was worth the hype. I loved Serefin as a character, he was smart, easy to follow, and the royalty aspects revolving his character were engaging. Nadya was interesting as well, and her ability to communicate with the divine Gods who rule her country added a unique side to the story. The novel takes place in a unique magical realm, and can take a bit to get used to, as there is a variety of language and landmark references to understand. It was not too hard to grasp, and the fantasy elements drew in the reader. I liked the power struggle and politics, and the world building was complex. I did find Nadya occasionally naive which was a tad hard to connect with as a reader, and was unconvinced regarding the brewing love story. It will be interesting to see how it develops in the next novel. Overall, it was a strong YA fantasy novel, and I loved a lot of parts. 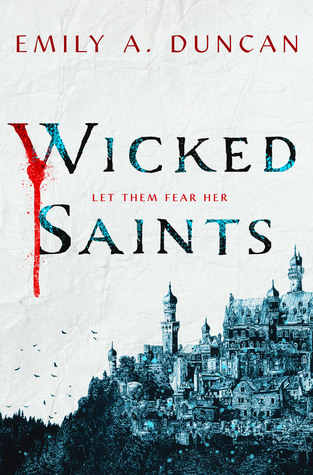 I would highly recommend this to fans of Sky in the Deep, Throne of Glass, and for fans of the Selection who want a darker read.